Join in for a Masquerade Ball and Dinner at Hotel Coachman to celebrate the French national day with us! 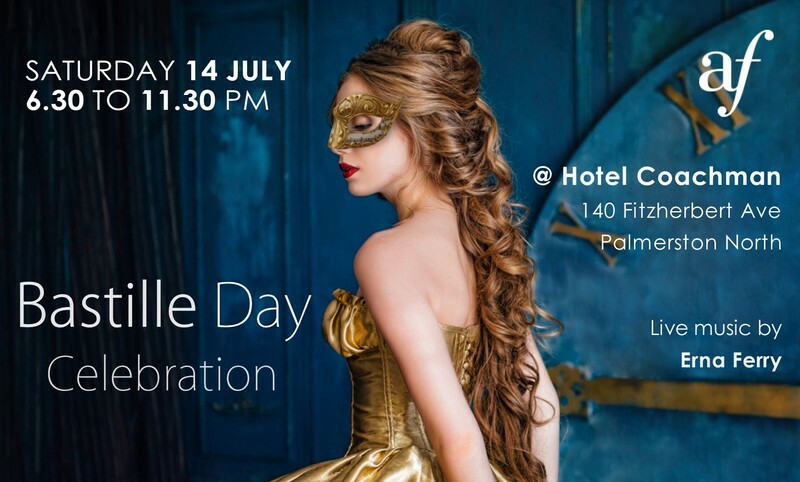 The Bastille Day celebration evening will be on Saturday 14 July at 6:30pm at Hotel Coachman. Whether you wear a masquerade costume or your finest clothes, the choice is yours, but don't forget your mask! Enjoy a three-course French dinner and a concert with Erna Ferry, as well as cabaret and dance shows by the talented dancers of Dance Unlimited! A selection of French wines will be available from the bar.